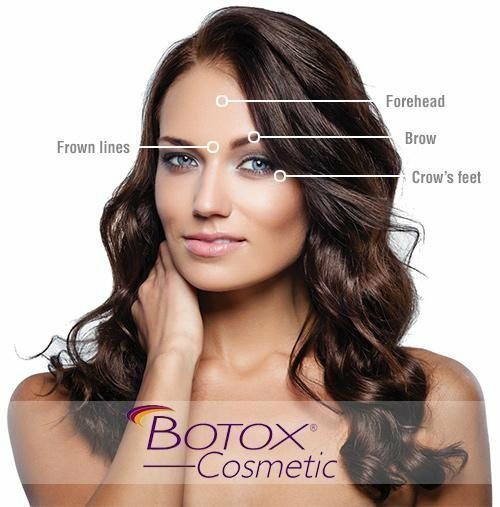 BOTOX® Cosmetic (onabotulinumtoxinA) is a prescription cosmetic injectable treatment derived from the purified but naturally occurring botulinumtoxin protein. It is injected into the muscles of the face to reduce the appearance of frown lines and wrinkles. BOTOX® Cosmetic (onabotulinumtoxinA) was the first of its kind and was initially approved in 2002 to temporarily improve moderate to severe lines in the forehead. In 2013 it became the first and only FDA-approved treatment to temporarily improve both moderate to severe frown lines between the brows and crow’s feet in adults. Since BOTOX® Cosmetic got FDA-approval in 2002, over 10.9 million vials have been sold in the United States. It is approved for cosmetic use in 78 countries, making it the #1 selling product of its kind in the world. 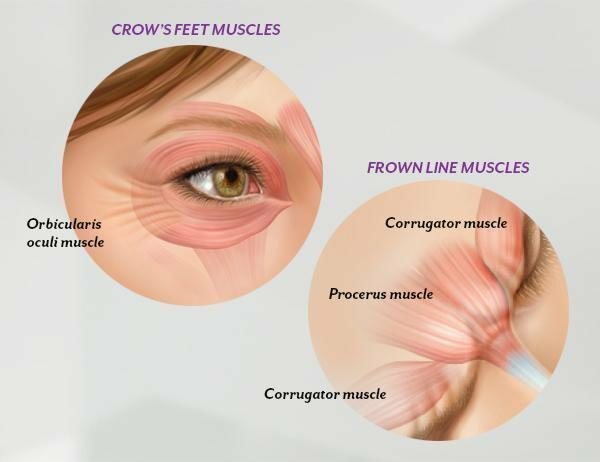 BOTOX® Cosmetic targets the underlying muscle activity by temporarily blocking the nerve impulses in the muscle which reduces its activity and encourages a visible smoothing of these lines and wrinkles. Because BOTOX® Cosmetic is temporary, and lasts 3 months on average, it is important to establish a treatment plan so that you can maintain optimal results. BOTOX® Cosmetic is a technique-sensitive treatment which is why our providers are licensed, and highly trained in facial anatomy, enabling our office to effectively treat those problem areas while allowing you to maintain an expressive face without the wrinkles! How are BOTOX® Cosmetic Injections Performed? Using a very fine needle, it is most often injected into the forehead and around the eyes, BOTOX® Cosmetic injections temporarily paralyze the targeted muscles to reduce their movement and diminish lines and wrinkles. The procedure is complete within minutes. There is a very small degree of discomfort associated with BOTOX® Cosmetic. The ‘pain’ is comparable to being pricked by a pin. We will usually ice the area prior to injections to help prevent bruising. Dr. Wray, her physician assistant Amy Bramblett-Robinson, and her nurse injector Katie Vaughan, will evaluate the patient’s overall health and the sites where the BOTOX® is to be injected. They may also combine the procedure with a cosmetic filler to diminish fine lines and/or rejuvenate facial volume. Recovery is quick, with only minor irritation and swelling at the injection sites. These will go away within a matter of hours. Bruising is possible but is usually minor. Your results will start to show within 2 weeks. The professionals at The Medi Spa at Ridgewood Hill screen all of our patients carefully to ensure safe and effective BOTOX® Cosmetic treatments. Please keep in mind that a dose of BOTOX® Cosmetic is not the same as, or comparable to, any other botulinum toxin product so one product cannot take the place of another. Typically, patients who receive BOTOX® Cosmetic are between the ages of 18 & 65. Women who are pregnant or breastfeeding must postpone this procedure until they are no longer pregnant or breastfeeding. BOTOX® Cosmetic is not to be used when there are signs of infection at the injection site. BOTOX® Cosmetic is not to be used in individuals with known hypersensitivity to any ingredient in the formulation. Patients with neuromuscular disorders such as ALS, myasthenia gravis, or Lambert-Eaton syndrome, may be at increased risk of serious side effects. The cost of BOTOX® Cosmetic depends on the size of the targeted area and the number of injections. We accept cash, checks, and credit cards including VISA®, MasterCard®, Discover®, and American Express®. We also offer financing through CareCredit® . Payment in full is required prior to or at the time of your procedure. BOTOX® Cosmetic, JUVÉDERM® XC, JUVÉDERM® Ultra XC, JUVÉDERM VOLUMA® XC, JUVÉDERM VOLLURE™ XC, JUVÉDERM VOLBELLA® XC, KYBELLA®, CoolSculpting®, and all SkinMedica™ products and treatments are eligible for points accrual and redemption to save money on future treatments and products through Allergan’s Brilliant Distinctions Program®.